Posted by Sam Smith on Friday, April 19th, 2013 at 6:30pm. The Balboa Peninsula is one of the popular spots to be during the annual Christmas Boat Parade that happens every year in Newport Beach, California. 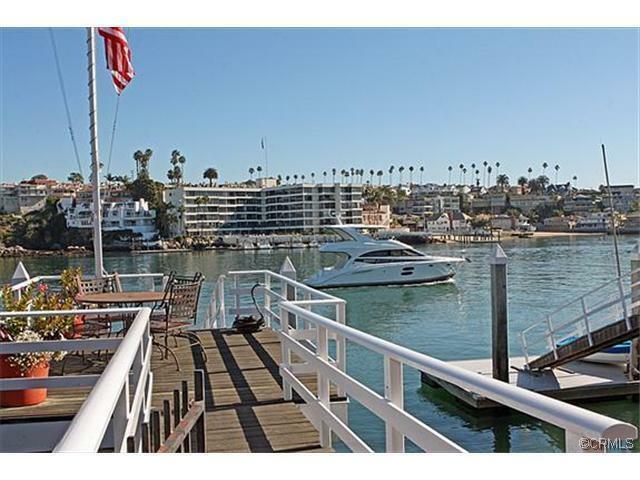 Beyond that, living on the water in this section of Newport Beach is unique to other water front areas in the city. The Balboa Peninsula Point is located at the tip where the Newport Bay channel meets the Pacific Ocean. For those who own a boat this is ideal and very convenient to head out to the Pacific Ocean. For view purposes, a lot of the properties will have direct bay front views as well as ocean views. A new listing has just come on the market that is almost located at the very tip of the Point and built in the Spanish style. I have shown this home many times before and love the wood beam ceilings and the rich hardwood flooring. The Master bedroom is located upstairs and has a great vantage point that overlooks the bay. Also, the lot itself is very large and covers a rare 50 foot wide lot that contains a huge patio area and private boat dock. The home is currently on the market for $6,750,000 and is a well maintained home. For a private showing on this home or any questions about waterfront homes in Newport Beach make sure to contact us at 949-444-1901 today.